This past month, one thought has been consuming my mind. I’ve gone to far too many church services where God comes last. It’s sad, but I had felt as though it was true. Many times, it was my own short coming, expecting someone to coerce me into the presence of God. That is why when my parents let me know that we were taking a family trip to New Jersey and sitting in on the NACOG conference, I was far from pleased. In fact I think I was even dragging my feet a little bit to go. And at first, I didn’t really like it. The hotel I was placed in was 2 miles from the conference center, so most people were shuttling back and forth. The conference center itself was really tiny and my expectations were low. Plus my parents were so intent on eating the Indian food that they had packed, they actually drove out and brought a microwave for the weekend to heat up their food. Oh how I wish I was joking. Surprisingly Double Tree by Hilton does not have microwaves or fridges, or at least the location we stayed at. However they did have cookies available at the front desk, it was a fair enough trade off for me. But lets get back on topic, the conference. So the thing about God is the fact that he meets us regardless of all these things that feel such a big deal at the time. He reaches down to his people, if they were willing and welcome to him, and that’s what really matters. And none of these other things really mattered. I mean it would have been nice not to shuttle across back and forth, but this conference counted where it really mattered. 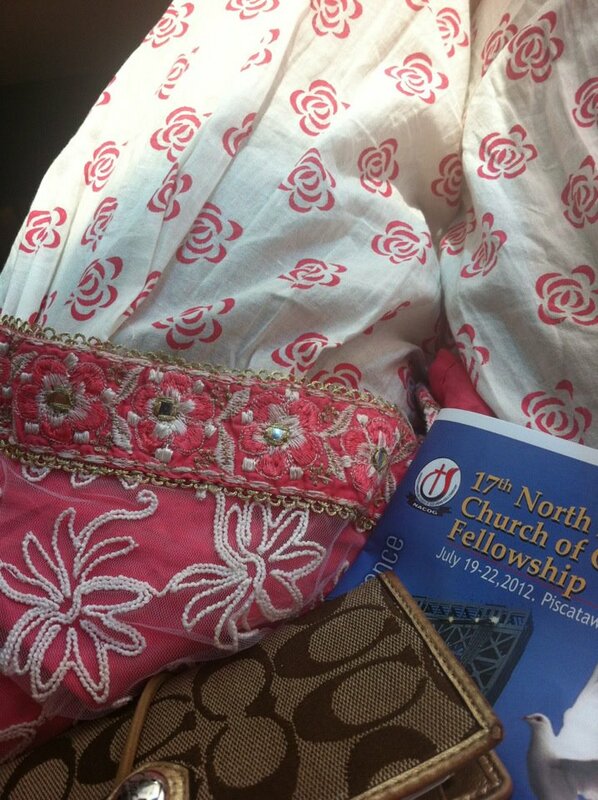 At this conference I felt such an anointing from God. My iPhone started getting cluttered up with notes from sermons. Pastor Zack Cherian spoke about the woman with the condition with blood during the last evening session. And as he compared her shame for her sickness and necessity of her chasing after God I found myself completely in awe of how God could reach me so perfectly through the words of a stranger. And after that meeting, so many people told me that they met God, or more so really met God for the first time. When you grow up in a Christian household, as many of us at the conference do, you take the presence of God for granted. By doing this, we are doing such a disservice to God. This wasn’t a conference where everyone skipped out on the meetings and ran to socialize, this was a conference that forever changed the lives of the people who chose to get involved. It wasn’t a mountain top experience, it was a launching pad where we can use what we learned. I learned to stop waiting for tomorrow to meet God, but to pursue him and grab unto the hem of his garment. Because the amazing thing about God is that if you ask you WILL receive, but first you need to ask. ← You’ll never be anyone but yourself, and that’s amazing. “I learned to stop waiting for tomorrow to meet God, but to pursue him and grab unto the hem of his garment. Love this! And honestly I wish my parents brought a microwave to heat up Indian food! I absolutely love Indian food. Maybe it’s one of those “the grass is always greener on the other side” kinda things.